January is always such an awkward time of year: you’re depressed because Christmas is over and you’ve got to go back to work, but it’s also the start of a new year and the weather is great. As cliché as resolutions can be, they’re a great way to get your goals sorted. Check out some of mine and get inspired to write your own. I’m not sure why, but in the same way that peeling the foil from a new jar of nutella or starting a new mascara is satisfying and exciting, there’s something fresh and wonderful about the start of a new year. We’re lucky in Australia that we get to kick off the new year with glorious weather rather than hibernation, as it gives you that little extra pep in your step to get motivated for the next 12 months. It’s a great time to plan your goals so this time next year you can look back and see what you’ve accomplished, rather than aimlessly letting the year take you in its own direction (guilty!). I’ve got a handful of goals I’d like to check off my life list this year. Over the Christmas break, my best mate lent me a book called The Life Changing Magic of Not Giving a F*ck: How to Stop Spending Time You Don’t Have with People You Don’t Like Doing Things You Don’t Want to Do by Sarah Knight. The title is a bit of a provocative mouthful, but it definitely resonates. I’m halfway through, and it’s already starting to make a lot of sense (plus I really want to read the cult classic that inspired the book by Marie Kondo and de-clutter my home). I’m definitely guilty of giving too much time and effort to people or things that don’t really warrant it or bring me joy, so it’s probably time to take stock and start actively choosing the good and forgetting the bad. Hard lesson, but hopefully it will be worth it. Be happier with the people and things you want in your life, and stop giving your energy to people and things that don’t bring joy. Sure, we all want to be rich, but will money make you happy? Yes. 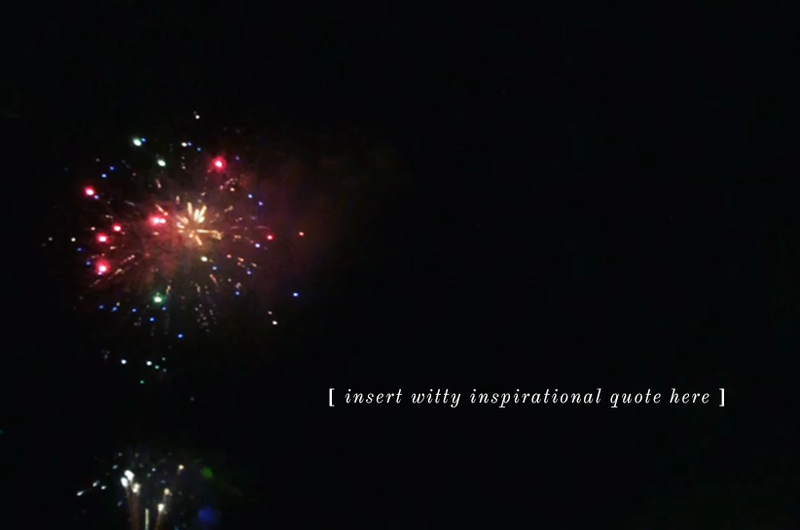 Yes it will. People want to tell you that money doesn’t bring happiness, but it sure as hell makes your life a lot easier when you have the financial freedom to do whatever you want. Personally, having a few freelance side projects has made me a happier person. Not just because of the additional income, which helps, but because I’m using my skills in new areas and on new topics where I can learn and grow as a digital marketer. Grow my freelance clientele and boost my mad skills with ecourses and practice. This one has been a long time coming and has been at the back of my mind forever. I’m 29 this year (and don’t look a day over 17) which means I’m almost about to miss my chance to pick up the UK working visa that expires when you hit the dreaded 3-0. One of my close girlfriend’s is on the trip of a lifetime travelling through South America before re-locating to London, and our mate has already settled in the UK. Another girlfriend has been doing the Bali thing for the past 3 years, so at some point this year I’d love to spend a month in Bali before heading over to London for a hemisphere-change. Instagram accounts like @Hello_France, @CrazyCatLadyLdn and @theegglife among other travel accounts make me yearn for Europe, and it would be great to explore and see the world instead of spending my 20s in an office. As the story goes, at the age of 9 months my dad lived in the green building and almost crawled to his death, saved by the quick reflexes of his grandmother who grabbed him by the ankle. Decide when I want to leave and buy the damn ticket. Christmas and New Year’s holidays are always spent home, in Wollongong, with my family and friends. Over 2 weeks I probably drank more than I should and caught up with as many people as I could – and I’d like to bring these habits into the new year. 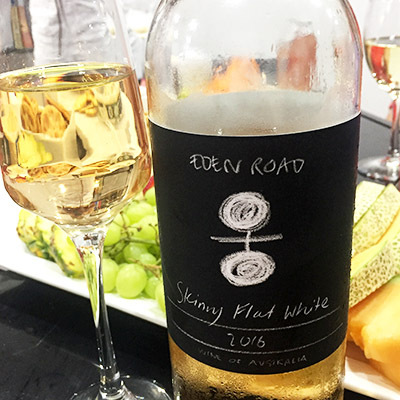 Summer is the perfect time for something a little lighter than the shiraz or pinot noir I usually drink, and I found a lovely drop in the Skinny Flat White from Eden Road Wines. I brought it to Christmas Eve drinks and it went really, really well with the halloumi and fruit platter my girlfriend’s had put together. Not quite a rosé, it’s a combination of a riesling and a sauvignon blanc that was more on the dry side of things and came with a pretty pink hue. As for socialising more, this shouldn’t be too hard. April is my favourite month in Melbourne, as the Melbourne International Comedy Festival kicks off and the city is buzzing with people out for dinner, drinks and a laugh. There’s also so many amazing places to feast, I need to find excuses to visit them. Spend more time with my favourite people. My Nan, Mum and I not only look distinctly like 3 generations on the same line, but we all have a few similar instincts that seem a little left-field and out of a Bruce Willis film. In early December, I decided to surprise my family with an unannounced trip to my niece’s 3rd birthday party in Sydney. When my parents arrived, my dad was gobsmacked but all mum could do was smile and say “I had a feeling you’d be here”. There’s a few quirky stories along our line relating to ancestors being burnt at the stake, so maybe there’s something to it – but all I know is that sometimes I know things and they turn out to be true, and both Nan and Mum have the same little quirk. Regardless, there are some areas of spiritualism I find interesting and it can be fun to delve into the mystic. My girlfriend’s sister just sent through a 12 Month Full Moon Tarot Guide that starts with tonight’s Full Moon, which is a great way to sit, centre, and reflect on the psychological meanings a Tarot spread can present. Whether it’s spiritual or psychological, the way you interpret the cards will tell you something about yourself you probably didn’t know. What are your new Year’s Resolutions for 2017?